When I was young, I had so many pen pals. The church we attended when I was 9-14 years old, had little Sunday Story Pamphlets that we received each week. One of the papers had a pen pal search on the back page. People from all over the world would submit their letter requesting new pen pals. Letters flew out of our house faster more often than Adam and I have popcorn and mnm's every night -- and that's a frightful lot. My favorite time of day for years and years was mail time. Three o'clock every afternoon, I was keeping one eye outside looking for the mail car. Fast forward to our current world of social media, iMessage and Facetime. Weeks can go by without one hand addressed letter in our mailbox. I think it's sad because the old proverb is true, Like cold water to a thirsty soul, so is good news from a far country. Kind words in written form seem to be just that. That's why I am so so excited to start The Pretty Mail Project next month!! I am going to challenge myself to write one handwritten, thoughtful card every week in 2015. I am also going to choose one random friend or acquaintance to surprise with a birthday package each month. I want to surprise and bless a lot of people with some beautiful happiness in their mailbox. I am excited to share this little project with you guys not only to keep myself accountable but also to hopefully inspire some of you to send out more pretty mail as well. Two Instagram accounts that inspire me so much in this area are Amber & Corrine. They have so many amazing examples of pretty mail in the archives of their feed. I also thought it would be fun today to share some of my favorite things to use when putting together cards and letter. Sometimes these items never leave my desk because I am using them constantly when I write little notes or wrap gifts. My favorites include raffia, bakers twine, blank cards, mini clothes pins, paper tags and of course washi tape! Always always washi tape!! Now because I love you guys and feel super thankful for all the support and love you have given me since I've been back to blogging, I want to give you a chance to win your own little pretty mail kit that includes a little bit of everything pictured above!! 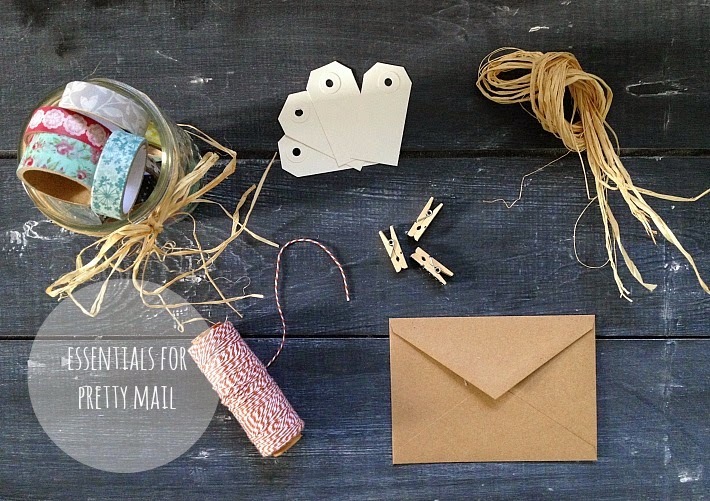 Plus I hope it helps you to kick start your own pretty mail project! Thanks again for all your love and support! I am so thankful for this community. I would send it to some of my life long friends that live out of state! How fun! Everyone! I love pretty mail! I would write to cousins that I rarely see and college roommates. What a great goal! I think I will add sending pretty mail to my list too. Everyone could use a day brightener! Lovely idea!! I would send mail to far away grandparents, family, and dear friends. SO many people need a little joy in their box! I love getting getting and sending mail! It is always fun to make new pen pals. i would send pretty mail to my friend who is expecting!! 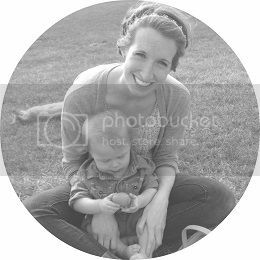 I just love your blog!! What an awesome way to brighten people's lives with mail. I used to write letters with friends across the ocean....I don't do it often enough. But it's so much fun to surprise people with a package. I sewed my sister a dress and mailed it off. :) was fun. I would send it to SC friends that we moved away from! Being in college, I never have enough time to keep up with family and friends. I would love to send some pretty to mail to old friends and the random aunt and cousin. I just discovered your blog, and I love it :) I've been keeping in regular contact via snail mail with some friends in British Columbia, as my husband and I had to move to Alberta for work. I would totally send some snail mail to them, and to my mom who is also in BC! I love mail - especially from people and not companies. I would send mail to all my friends. I would send mail to my sister! She lives in a different state and I don't get to see her very often. there is nothing quite like getting something in the mail with your name on it (that's not a bill to be paid) and when it looks pretty too...woo-hoo! College have birthdays this month! Oh, I absolutely love old fashioned snail mail! There are few things that thrill my heart more than a hand-written letter found in my mailbox. I would write my far-away sisters or friends if I won this beautiful package, how generous of you! Oh my. I love this so much. Snail mail is one of my favorite things, and your collection is just delightful. Some of my favorite people to write to are my far-away sister and cousin. I would send some to my mom and Gma!